Rain, rain and more rain are in San Diego’s future according to the National Weather Service. El Nino is expected to bring a much wetter and windier winter than normal, causing up to twice San Diego’s average annual rainfall to pour down over the next 4 months. 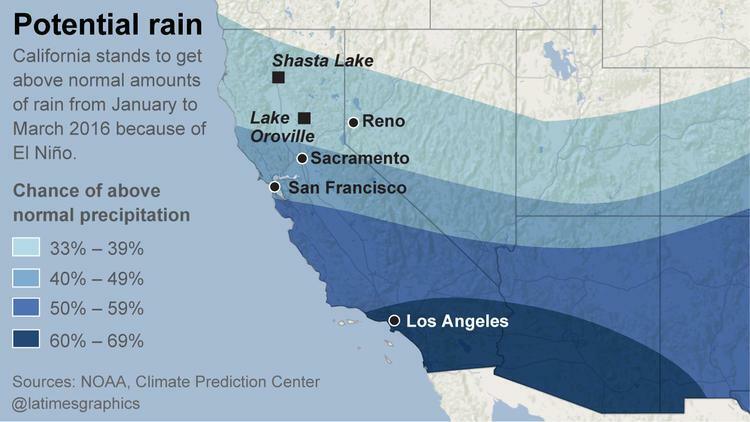 In fact, the San Diego City Counsel has declared a state of emergency because of anticipated El Nino rain conditions. While San Diego and all of California desperately need the rain, this concentrated rainfall, storms and high winds can wreak havoc on your trees and landscape unless you prepare. 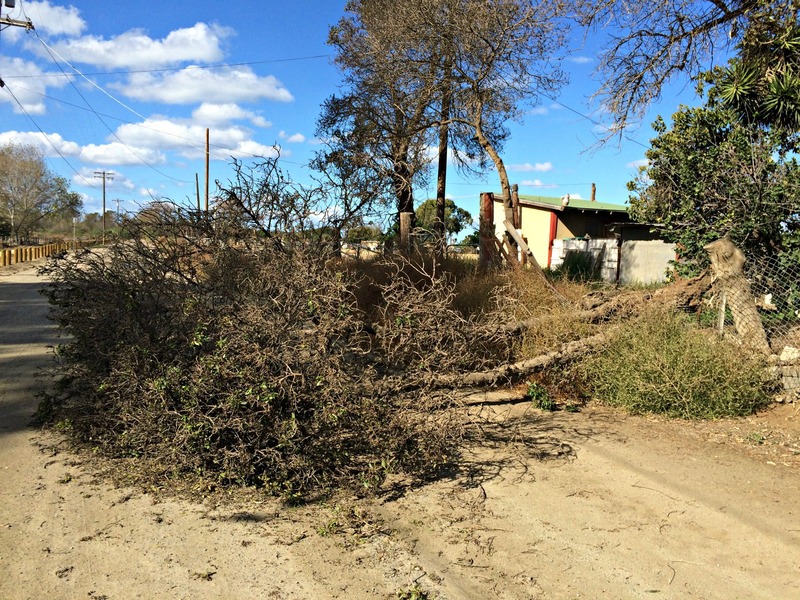 Tree branches that are weak, damaged, weighed down or extending too far from the trunk pose a threat of falling and causing significant damage to vehicles, structures and other landscaping. In the worst cases, falling tree limbs can cause serious injury or death. Branches hanging over or touching your roof or structures can cause damage from impact as well as clogging gutters and creating roof leaks. Dead trees will eventually fall…it’s just a matter of when. 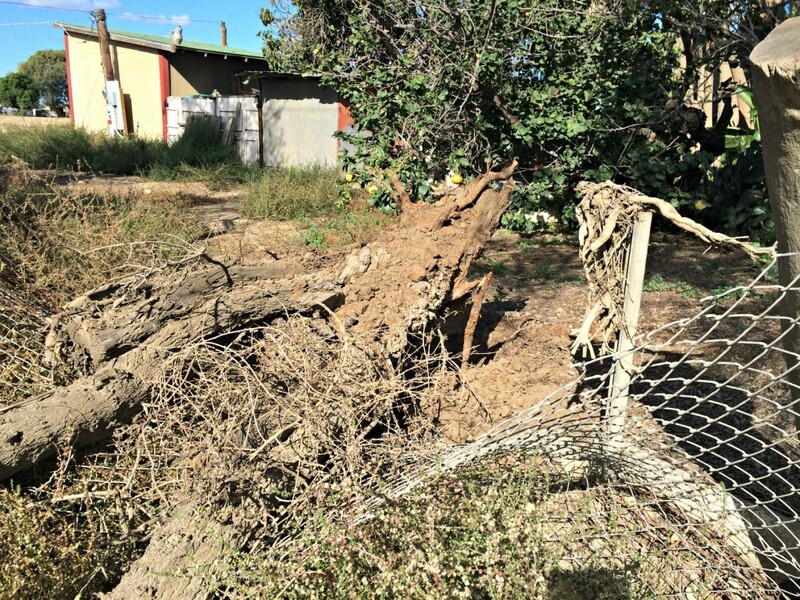 When heavy rains fall on parched ground, the soil is destabilized, making it much easier for trees to be uprooted and fall. Before the storms hit, take time to inspect your trees for signs of disease or pests, cracks, ulcers or other signs that the tree may be weak, dying or dead. These may be candidates for removal. Imagine the canopy of your trees are a sail that will catch wind as it blows through. The more wind the sail catches, the more pressure is pushing against your tree and increasing chances of broken branches and fallen trees. Trimming and lacing will allow more wind to flow through your tree’s canopy and decrease the weight of your trees’ branches. Emma Tree Service, along with every tree service company in Southern California, will be increasingly busy and booked over the next several months. Heavy rains will delay tree service jobs which must be rescheduled and emergency tree and branch removals will be filling our schedules. Don’t wait for an emergency to address problem trees. It is much less expensive and stressful to prevent tree problems than to address tree emergencies. Do you have concerns with your trees’ health and safety? Need tree trimming or tree removal? Contact us today for a free tree inspection and consultation.